One of the favorite pastimes for people of many nations is camping in lovely outdoors. 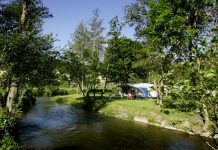 Camping is popular all across the world and can be done at any time of the year. 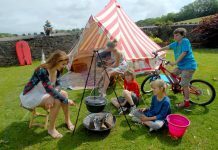 Camping is one of those few adventurous activities which can be enjoyed by both males and females, the kids and the adults and even pregnant women. 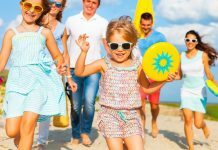 Yes, if you are a few months pregnant, then the good news is that you are allowed to go for camping but only if you are willing to follow certain important tips and suggestions. 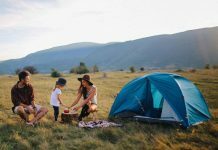 The following are the top tips for camping when pregnant. One of the main problems that comes in the way for pregnant women when they are camping is the lack of comfortable ground to sleep on. 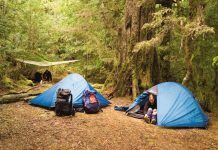 The camping ground is usually hard and damp in the morning and may not be level. To minimize the discomfort, there are a few things that a pregnant woman can do. First, look for a spot that is full of fallen leaves and other things soft. Then make sure that the ground is level. You can also lay down a fleece blanket on the surface to make the ground comfortable and warm. Another good tip for camping when pregnant is to pack as light as possible. You will need to do a lot of hiking on a camping trip and this may need you to carry your stuff on your back. By packing light, your back won’t hurt once you are ready to rest for the day. It is important to bring in more water than you think you will need for a camping trip when pregnant. It is very important to stay well hydrated during pregnancy or you will knock yourself up. You will also get thirsty pretty soon each time and hence it becomes more important to carry some extra water. While packing your first aid kid, don’t forget to take the medicine which you might need during this time of pregnancy. Ask your doctor about medicine that you might need on the trip and then make sure that you pack them. Another important tip for camping when pregnant is to carry more food than you think you would need. During pregnancy, your own food requirement changes more than you expect it to and this is more so the case when you are out camping. You never know when you might end up feeling hungry and hence it is important to be ready for more options within reach. A lot of pregnant women love to treat themselves and their bodies similar to when they were not pregnant. While this is great for being physical active, overdoing certain things is not advisable. It is best to take it easy and don’t put a lot of pressure on yourself just to prove to yourself that you are as capable of being physically active as you were when you were not pregnant.